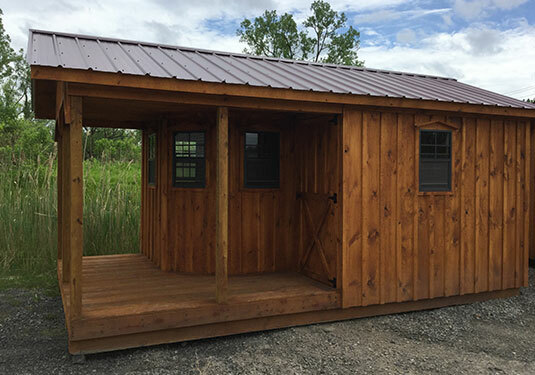 Board and batten sheds from Pleasant View Structures are durable structures designed to fit in perfectly on any property in Central New York. 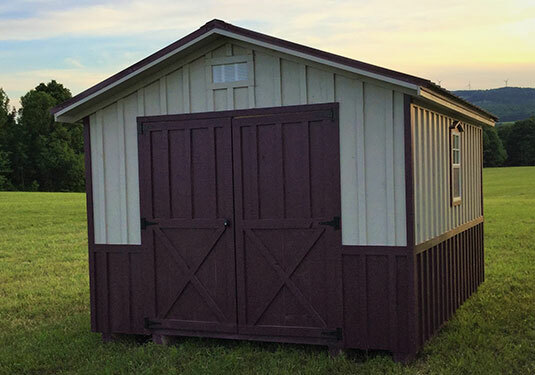 Board and batten is an especially appealing material for sheds and barns because it has a more rustic appearance. 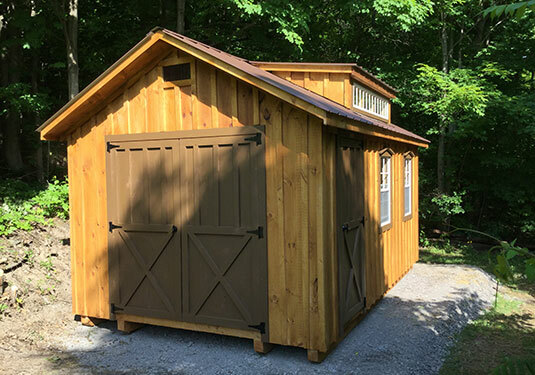 Thanks to the variety we offer with designs, your B&B shed can be a spacious structure with carriage-house style doors and gutters or a cozier design that can serve as a convenient potting or garden shed. The uniquely designed siding on these sheds makes them a fit perfectly in both rural and historical settings. Many homeowners also like these sheds because it's easy to add any type of stain to these structures for further personalization. A perfect complement to one of our top-quality board and batten sheds is a Quaker style roof. These models also come standard with double doors and windows. Add-ons like flower beds, ramps, and extra windows are also available. Explore our gallery or contact our team today to talk to us about your preferences for your board and batten shed.